For weeks now a special friend of mine has been slowly fading into the sunset. Everyday she moves a little slower, and takes about twice as long as she once did to crank up in the mornings. It is such an awful feeling not being able to stop the aging process. This special friend holds so much knowledge inside her memory. Copies of all my books, thoughts, blogs and business correspondence fills her gigabits. As I speak my friend Macintosh OS X is swirling her little kaleidoscope ball around trying to boot up. It’s been twenty minutes so this might just be the final moments of her life. All I can say right now is thank goodness for my MacBook that I’m using right now. My OS X, she’s been a good one though. Nine years of loyal service. I can’t begin to tell you how many hours a week we have shared together. Who could ask for more? Me, that’s who, what will I do if the computer whizzes at Computer Tree can’t pull all my old stuff out of her wireless system and put it on my new, not yet purchased Macintosh OS whatever the latest version computer. I must admit I am having a major panic attack. Why oh why do things grow old and die, a question that has been asked from the beginning of time. For everything there is a season, a time to live and a time to die. I get it, but that doesn’t make losing things, especially loved ones any easier. So this week I will be laying my old Mac girl to rest in the great computer graveyard in the sky, and I’ll embark on a new journey with a new friend. I can only hope that my new best buddy will be as loyal as my old Mac OS X. Rest in peace my partner in crime. I’m gearing up for book launch #4. The River Keeper and I, as well as my other novels, Guardian Spirit, The Color of My Heart, and my little children’s picture book Matty theManger Mouse will be at Speedy Chef, 685 North Bridge Street Elkin on Friday, November 7th from 3 until 6. If you haven’t been able to get your signed copy this will be an opportune time to pick up a good read and have a great meal. I want to thank Speedy Chef for hosting this 4th book launch. 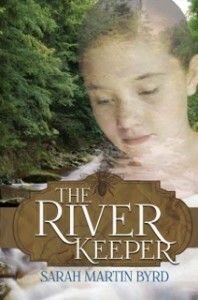 Also, for every copy of The River Keeper that I sell on Friday, I’ll donate one dollar to the Elkin Valley Trails Association. See you on Friday.